Madeline V. Taylor, AHIP, FMLA, spent twenty-two years at the University of Medicine and Dentistry of New Jersey (UMDNJ). She was a leader in the New York – New Jersey Chapter of the Medical Library Association and a proponent of gaining association experience through chapter activity. She played a pioneering role in the organization of the Chapter Council when MLA implemented its new group structure. [P]rior to [the reorganization]…whatever you did in your chapter did not really count. It wasn’t like a ladder up to anywhere… It was something that everyone could participate in and get leadership experience and really make a contribution, but there was no mechanism for it to do that. And so I became very active in that whole move to reorganize and restructure MLA so that the chapters became an integral part of it. As a chemistry major in college, Taylor became interested in science librarianship as a career. She worked in the Science and Industry Division of the Brooklyn Public Library as a trainee and as a hospital librarian at Jewish Chronic Disease Hospital in Brooklyn, as well as a publications librarian for a medical advertising agency. When she completed her library degree from Columbia University, her first position was with the library of the Harlem Hospital Center, which was affiliated with Columbia. From there, she went to UMDNJ, where she held several positions including director of the George F. Smith Library of the Health Sciences in Newark and assistant university librarian, at a time of growth and expansion of mission for the library system. 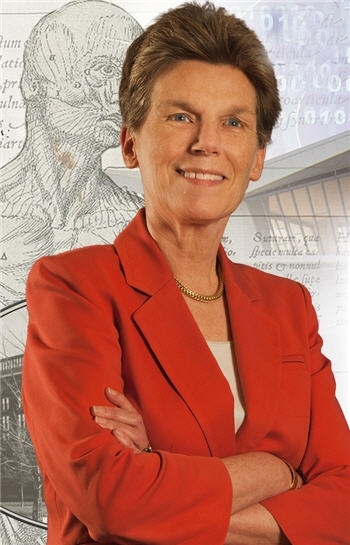 [I]t was an exciting place to be, because it was new and it was young… [A]s its character changed and its funding changed, we had this input in growing the library, expanding the scope from being just a medical school library to being a university library and a library system throughout the state. So, there was always something new going on, and you had a chance to invent yourself and reinvent yourself… [Y]ou couldn’t get bored, because there was always something going on in there. In her role at UMDNJ, Taylor participated in cooperative regional ventures such as the Medical Library Center of New York. 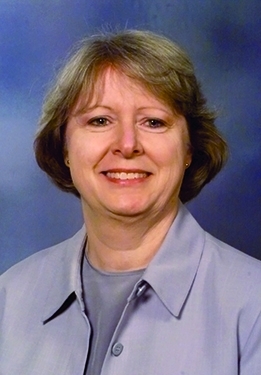 She coauthored a grant awarded by the National Library of Medicine in 1986 that created the statewide communication network to link the UMDNJ libraries electronically and to make bibliographic information accessible remotely to health care professionals. She was acknowledged for her support of accreditation studies for the medical and dental schools. She was appointed by the New Jersey state librarian to a special committee for planning and protocols for the newly established New Jersey Library Network and served on the Council for Higher Education in Newark. Taylor was chair of the New York Regional Group and was involved in the restructuring of MLA that converted regional groups to chapters and integrated them into the national governance of the association. 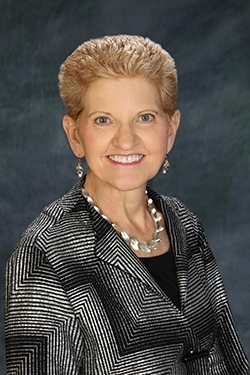 She was elected as the first representative of her chapter to the new Chapter Council and served as second chair of the council from 1983-1986. She compiled the initial edition of the procedures manual for the council. At the same time, she served a term on the MLA Board of Directors and participated in strategic planning for the association. She was also elected to the Nominating Committee. She represented MLA on the Council of National Library and Information Associations and was elected to its Board of Directors and as chair of the council. She was named a Fellow of MLA in 1994. I never think of my life and career as separate things. Everything is integrated. Whatever skills I have developed in one area, I have applied to the other. Otherwise, they are not worth acquiring if they are good only in a vacuum. And so whatever I have done in my career had a tremendous influence on the life that I led. They are of a package, they were all of one thing.